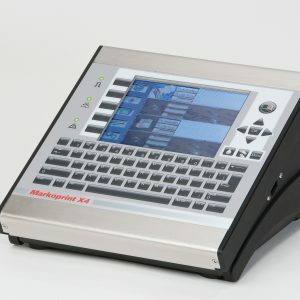 The X1JET LX is a compact and powerful AUTOPRINT® system based on Lexmark (Funai) technology. It’s a printer and microcontroller all-in-one with 3 button operation. 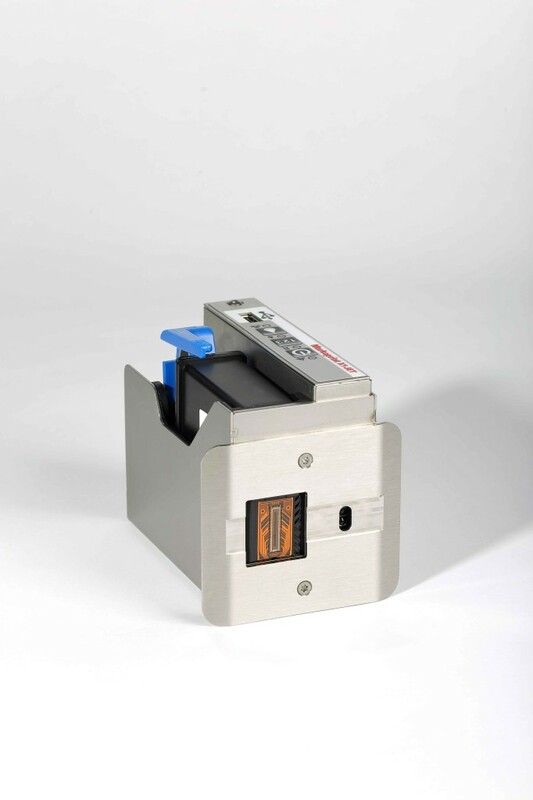 This compact and powerful system is available in different, upgradable system versions. X1JET LX is designed for different ranges of applications including coated / uncoated materials found in pharmaceutical, food & beverage, chemical, consumer goods and more. No training necessary: printing with the X1JET LX is simple, due to 3-logic intuitive operation with LED status light. Data transmissions initialized with USB stick / interface, Ethernet, PLC or web interface. Select and print directly with 9 messages. 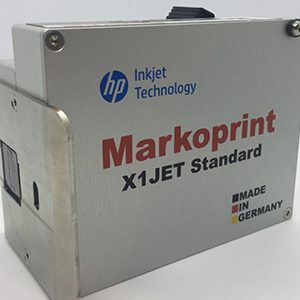 The Markoprint X1JET LX uses True Type fonts for printing. All conventional 1- and 2- dimensional codes can be printed. A wide range of water and solvent based inks work with X1JET LX industrial inkjet printing. Paper cartons, coated surfaces, foils, plastics and more are coded permanently with excellent resolution.